On June 1st, CatholicTV will air the Installation Mass of Archbishop-elect Thomas Wenski as the new Archbishop of Miami. Archbishop-elect Wenski speaks fluent Haitian Creole, Spanish, and English and is well-known for his pastoral work with immigrants. The Installation Mass will take place at the Cathedral of St. Mary in Miami and will air at CatholicTV.com and on CatholicTV at 8PM (Eastern). Archbishop-elect Wenski earned a B.A. Degree in Philosophy (1972), and Masters of Divinity (1975), from the Boynton Beach Seminary and in 1993 a MA from the School of Sociology of Fordham University in New York. He has also taken summer courses at the Catholic University of Lublin (Poland). 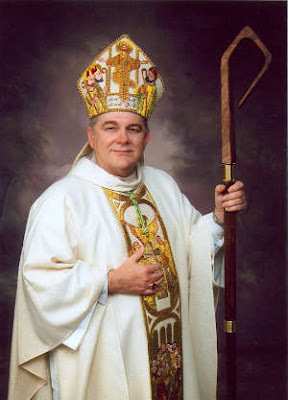 Archbishop-elect Wenski celebrated the weekly Mass in English for shut-ins at the Miami’s local ABC affiliate from 1992-1997.